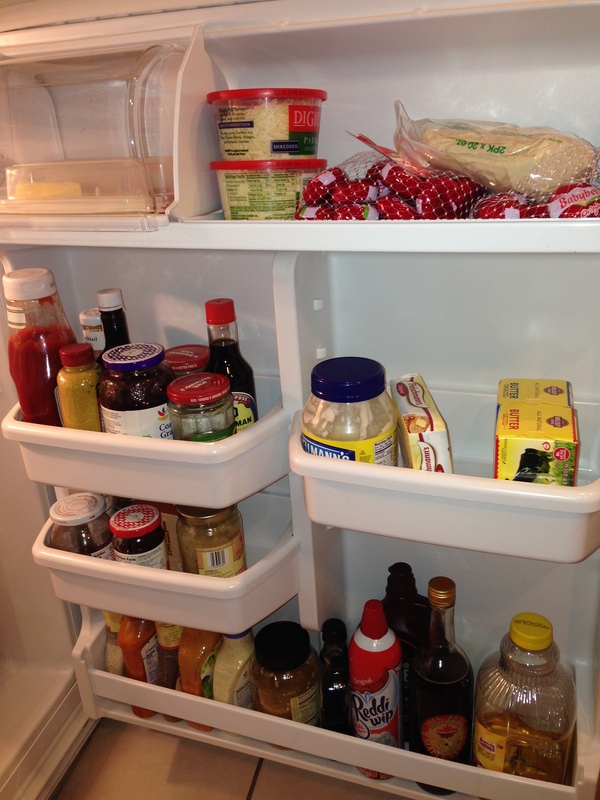 Some time back I wrote about the virtues of fridges vs freezers and their relative capacity. In summary, I know lots of folks have second freezers, but for us a second fridge is far more relevant. 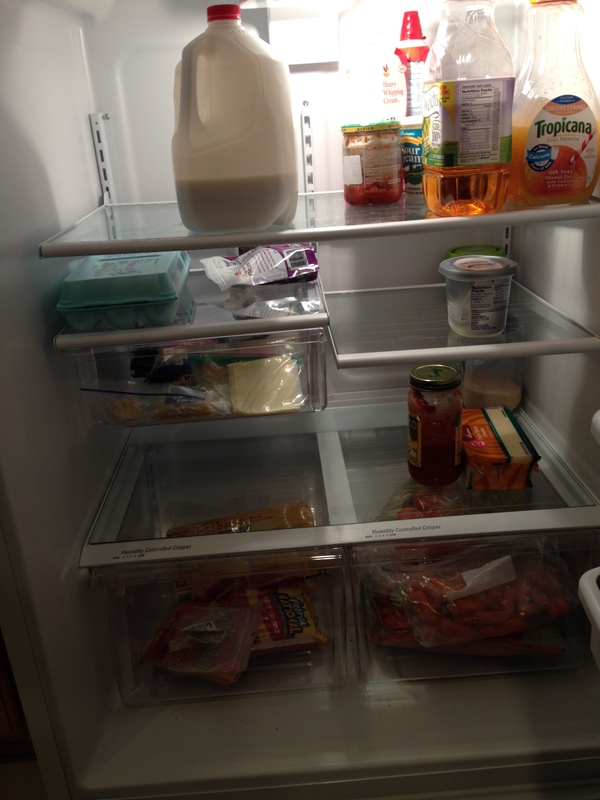 For example, I largely cleaned out our fridge before we went on vacation. 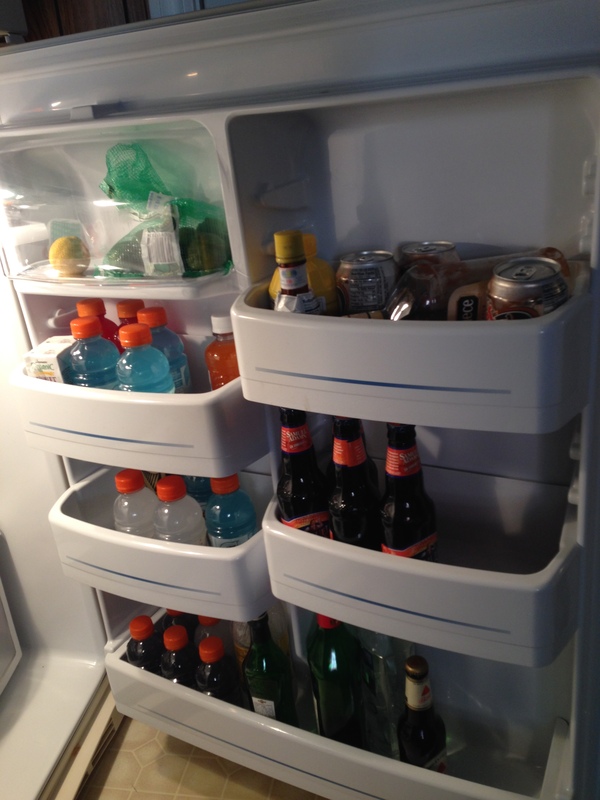 Our second fridge primarily holds drinks so I didn’t worry so much about that one. (At this point it also had lemons, limes, and apples.) Here’s the pictures I took upon our return (note I bought one gallon of milk just before we left specifically so the expiration date would get through the first two meals or so when we got back). Upon our return I promptly went to BJs, among other places, and both filled up again. But, the freezers. No. They stayed pretty much the same through the entire process. Anyway, as I was thinking about this I realized that The Frugal Girl had posted about something shockingly similar just before we went on our trip. 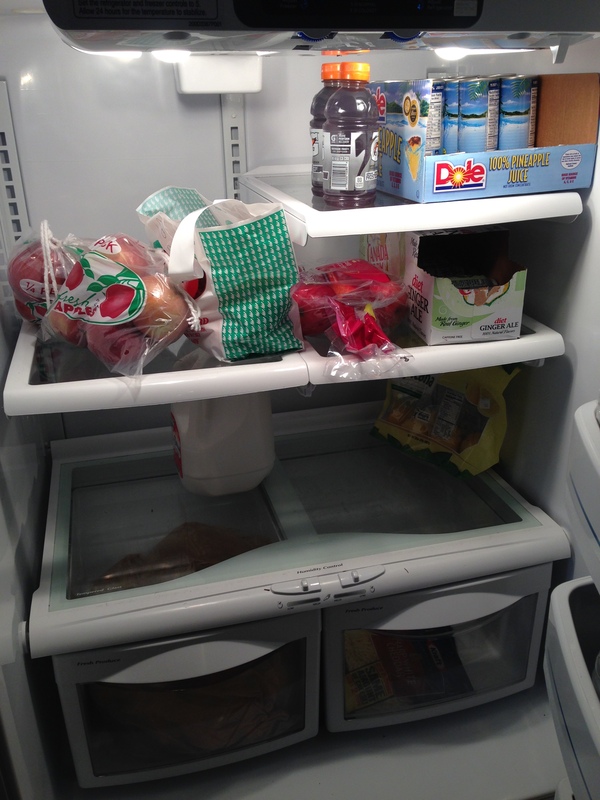 Specifically, she had cleaned out her chest freezer (I think she only has one fridge.) and found a variety of VERY old things, including three frozen turkeys. Now, I thought, if someone who tracks their food waste so well (she admits this tracking started after the chest freezer was purchased) can have so much old stuff buried in their freezer, what hope is there for the rest of us? This is not to say that I don’t use our freezers. I keep meat in there temporarily. They almost always have bread. I do freeze some extras/leftovers. I keeps some flours/nuts/butter there. But, I can pretty much always see everything. So, every time I open it I’m faced with the mental note of what I should maybe use up. The downside to this is the upcoming months when turkeys (and other roasts) go on excellent sales. If I had more space I could freeze lots of them to eat over the rest of the winter. I even noticed BJs has a frozen turkey purchase limit this year. But, I don’t want to be roasting in the oven come summer. Nor do we want to eat turkey every weekend. So, I think I’m going to stick with buying fresh items as best I can and save the freezing for someone/something else.